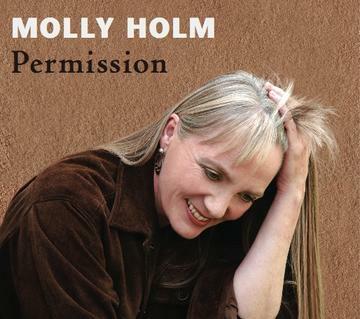 PERMISSION, Molly Holm's debut solo CD is produced by pianist/arranger Frank Martin. This CD showcases five of Molly's original compositions. One of those tracks, "The Bear" (produced by Molly Holm), is a intricately harmonized a cappella piece performed by ten Bay Area singers, including Linda Tillery, Rhiannon, Raz Kennedy, and Nicolas Bearde--some of the key singers who, like Molly, sang in Bobby McFerrin's original Voicestra. Also highlighted are compelling odd-metered arrangements by Frank Martin and a wealth of five-star jazz artists including drummer Famoudou Don Moye; saxophonist, Larry Schneider; bassist Jeff Chambers; pianist/arranger Frank Martin; and improvising vocal percussionist (North Indian Parhant style) Antonia Minnecola.